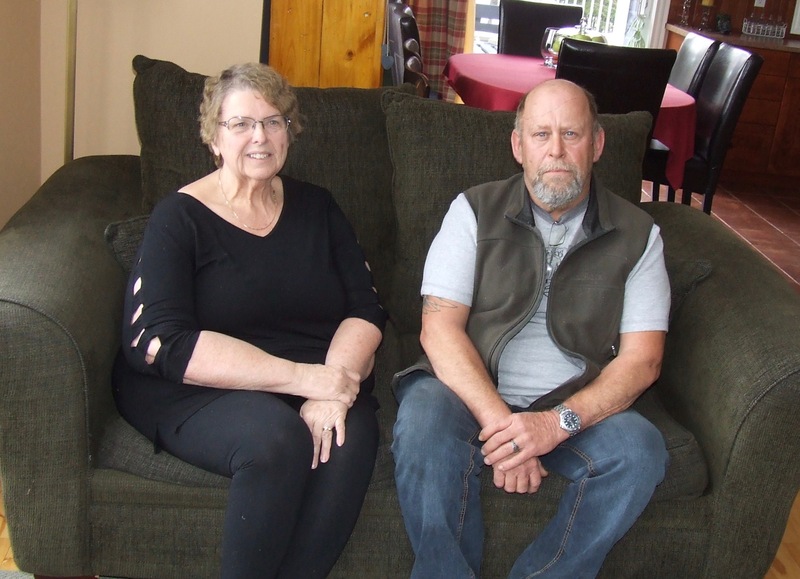 Sharon Ward and Randy Johnson live close to the proposed quarry off British Settlement Rd. Residents in British Settlement and Westcock are gearing up to fight another quarry in their area — a quarry that they fear would destroy property values, jeopardize water supplies, endanger the stability of their homes and pose a threat to the safety of local children. 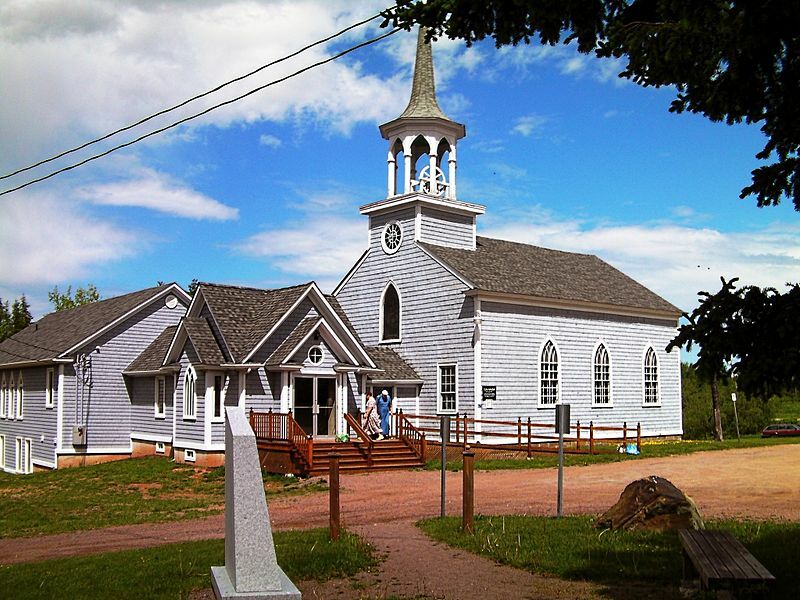 A group called the Sackville Parish Local Service District Advisory Committee has organized an emergency community meeting at St. Ann’s Church hall on Wednesday, March 20 at 7 p.m. The group was reacting to news that Bowser Construction of Sackville received conditional approval from the Southeast Planning Review and Adjustment Committee on January 23rd to establish a rock quarry off British Settlement Road East near Green Road. Only six people whose properties are within 100 metres of the proposed quarry had received notices about it. Sharon Ward, who lives at 221 British Settlement Road, says she and her husband first got wind of the quarry in late February when somebody put survey tape around trees on their lawn. Ward says Bowser Construction is proposing to use an old right-of-way only 25-35 feet from her home to gain access to the quarry which would be a few hundred metres back in the woods. She says it would mean huge, rock-hauling trucks rumbling along a narrow, 20-foot right-of-way beside her house and then turning onto a residential street not designed for heavy equipment. “It’s going to change a lot of the way of life around the neighbourhood, not only my house but around the neighbourhood,” Ward says. Randy Johnson, who lives nearby, worries that blasting in the quarry would affect the quality of the well water he depends on to operate the East Coast Beef Jerky business he established about five years ago. The minutes note that the planning committee also received a letter from resident Garry Goodwin who owns the right-of-way that Bowser is proposing to use. During a telephone interview, Goodwin expressed strong opposition to the quarry saying he will not be moving a shed that sits close to or even right on the edge of the right-of-way. He also scoffed at the planning committee’s review. Goodwin said his home would be about 300 metres from the proposed quarry. “There’s already enough dynamite going off with the existing pits and we don’t need a new one,” Goodwin added referring to a quarry farther away from his home where rock blasting has been going on for decades. He said residents have had to cope with damage to their homes as well as collapsed wells. He said he had to replace his well and pay $2300 to repair damage to the flue above his fireplace as well as cope with cracked windows and the cracked floor in his carport. A letter from the Sackville Parish Advisory Committee to the provincial ministers of the environment and transportation earlier this month also points to “major issues” with the existing quarry including wells drying up, poor air and water quality, cracked basements and walls, houses shaking during blasting and lowered property values. The letter calls on the ministers to prevent another quarry in British Settlement. In its January decision, the planning committee imposed a number of conditions on the proposed quarry including the requirement that Bowser Construction obtain an Access Permit from the Department of Transportation and Infrastructure, submit a legal document identifying the use of a right-of-way as an access route and obtain approval for the quarry from the provincial department of the environment and local government. So far, calls to Bowser Construction have not been returned. To read the January 23rd minutes of the Southeast Planning Review and Adjustment Committee, click here. This entry was posted in Environment and tagged Bowser Construction, British Settlement, quarry, Randy Johnson, Sharon Ward, Westcock. Bookmark the permalink. Thanks for this timely report, Bruce. It is disturbing. One thing I do not understand concerns the “right of way”. If Garry Goodwin really does own the access path, it is a private road. If continued use by the general public is established, then maybe it might have become a right of way. In that case, it might be necessary for a court to decide before the project is given the green light. Or at least it seems so to me. Note from Bruce Wark: Thanks for your comment Peter. I agree there are substantial doubts about the right-of-way issue. I’ve been told that the right-of-way was granted in 1971 so that a local woodlot owner could move wood off his property. Now I understand there isn’t much of a road there and some trees have grown up on it further back. So, I haven’t been able to ask anyone from Bowser Construction about the right-of-way issue. I do know from the minutes that the company planned to buy the woodlot property that planner Tracey Wade “demonstrated on the site plan” was “adjacent property that was granted the use of the Right-of-Way” but I do not know how that might affect the legal standing of the right-of-way. New Brunswick assessment records show that the adjacent property was recently sold. Thank you Mr. Bruce Wark for all your efforts in reaching out to this company. Good luck to the concerned citizens. I personally have sad memories of quarries. I know some are necessary in life but the tragedy for me was to see parts of the gorgeous Mount Lebanon being disfigured by illegal quarries during civil war. I do not wish this to NB.